Puzzled by the shrugs and unimaginative responses of his students when asked certain counterfactual questions, James Edward Carroll set out to explore what types of counterfactual questions would elicit sophisticated causal explanations. During his pursuit of the ‘gold standard’ of counterfactual reasoning, Carroll drew upon theories of academic history in order to discover what kind of contextual substantive and disciplinary knowledge underpins historians’ effective causal argument. 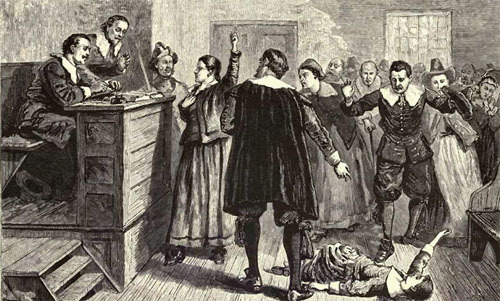 After presenting his students with examples of ‘diachronic’ and ‘synchronic’ comparison evident in historical scholarship on the Salem witch craze of 1692, Carroll encouraged them to emulate academic historians’ processes of counterfactual reasoning, providing them with opportunities to make their own comparisons. Carroll’s research led him to reframe his understanding of second-order concepts as symbiotic; his engagement with the historical scholarship led him to reconsider the subsidiary conceptual analyses that underpin causal analysis.